The Ordinary Granactive Retinoid is a really great retinol serum that will help plump the skin and help prevent further aging from happening. This retinol serum is thin and watery in consistency, and when it’s applied to the skin, it’s absorbed very quickly. Because the product is absorbed quickly by the skin and it dries fast, I found it was easiest to apply half the face at a time. I did one drop on one side, rubbed it in, and then did the other side. The product becomes a bit sticky as it dries, but after about 10 seconds, it goes away and leaves your face feeling super soft and hydrated. I was shocked at how quickly I started to see results with this product. After using it for a few nights, I woke up with brighter, glowing skin. I didn’t notice immediate differences in my wrinkles but I was impressed that my skin was looking good so fast. 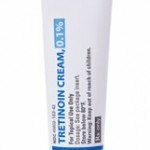 After using this product for a longer period of time, my fine lines and wrinkles started to fade and plump up. I also started to notice my dark marks and textured areas became lighter and smoother, and my face was overall looking nice. The only reason I didn’t give this product 5 stars was because some of the darker lines around my mouth didn’t change much. Overall, The Ordinary Granactive Retinoid is a great retinol serum that I will be using often to give my skin a better overall appearance and to target and correct my fine lines and wrinkles. The Ordinary Granactive Retinoid has a very thin and watery consistency when it’s first applied to the skin. As you rub it into the skin, it becomes a bit tackier and stickier but also feels soft at the same time. The Ordinary Granactive Retinoid is really easy to apply with the dropper applicator and you only need a few drops to cover the entire face. I would suggest applying to have of the face and rubbing that in, and doing the other half, followed by the neck because this product dries pretty quickly. The Ordinary Granactive Retinoid takes about 10 seconds to dry. It becomes a bit tacky as it dries down, but once it’s dry, it leaves your skin feeling nice and soft. The smell of The Ordinary Granactive Retinoid is basically non-existent; if anything, it just kind of smells like an unscented lotion. 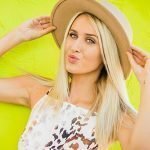 After using The Ordinary Granactive Retinoid for a short period of time, I noticed my face was hydrated and kind of had a natural glow to it. I didn’t notice any immediate differences in my fine lines and wrinkles, but overall my skin looked nice. 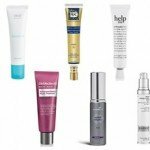 Over a longer period of time, The Ordinary Granactive Retinoid had a lot of really positive effects on my skin. I definitely noticed it started to fill in my fine lines and plump up some of my wrinkles. It also really helped with hyperpigmentation on my face and I was noticing less breakouts when using this serum. The Ordinary Granactive Retinoid is filled with a bunch of interesting ingredients including: caprylic, benzoic acid, and bisabolol. Caprylic or capric triglyceride is derived from coconut oil and is used to replenish the skin. It helps with resurfacing of the skin and helps the skin retain moisture and hydration. Benzoic acid helps to fight off free radicals from the skin and helps maintain the skins PH as well as retain moisture. Lastly, bisabolol is used to help enhance the appearance of damaged skin by restoring moisture and stimulating the skin’s healing process. It also works to help other products penetrate deeper into the skin. These three ingredients should work well to help keep the skin moisturized as well as fight aging and reduce the appearance of fine lines and wrinkles. The cost of The Ordinary Granactive Retinoid is $9.80 for 1 oz of product. This is a pretty inexpensive price for a retinol serum, especially because this one works super well! They have a 365-day money back guarantee. 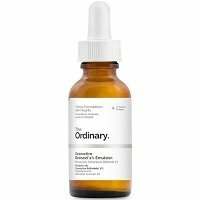 To buy The Ordinary Granactive Retinoid, click here. Ingredients Caprylic is used to help the skin retain moisture.